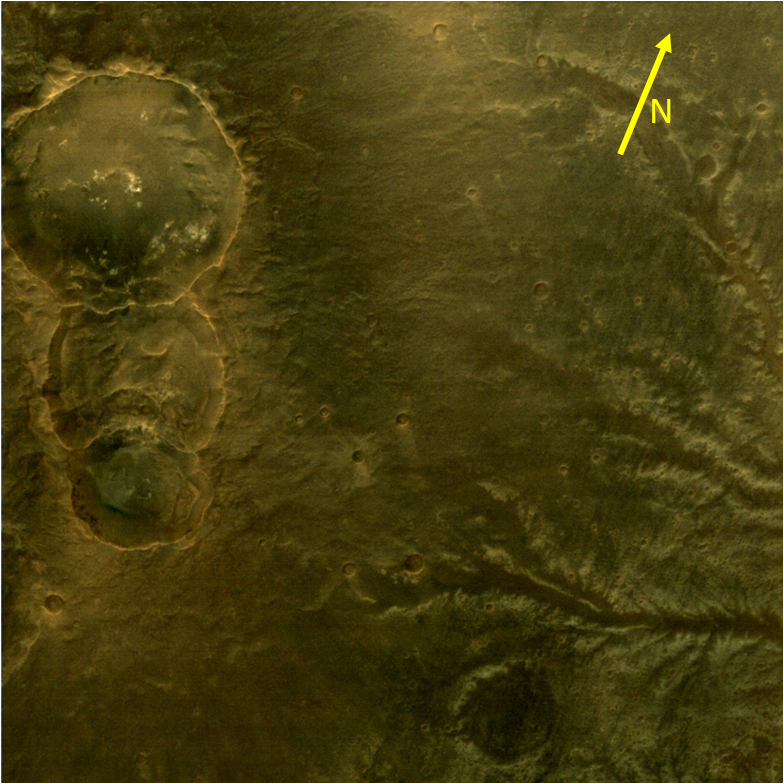 Arabia Terra is a large upland region in the north of Mars located mostly in the Arabia quadrangle. 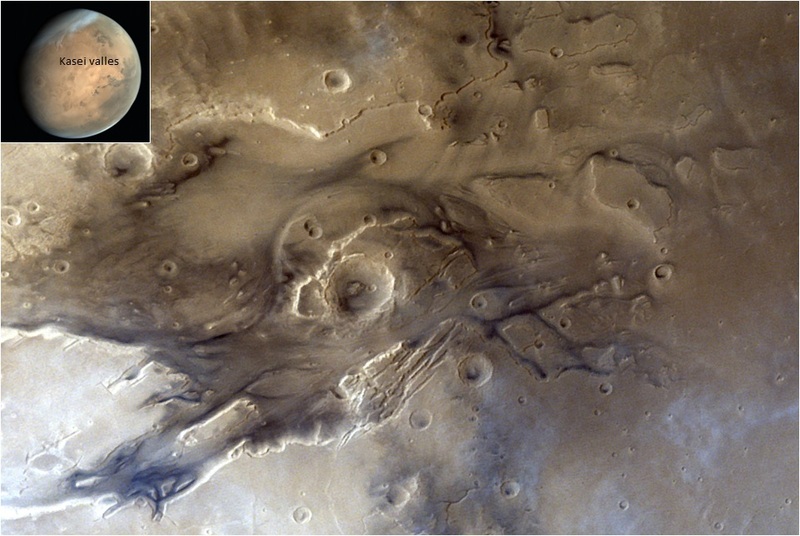 Arabia Terra is a large upland region in the north of Mars located mostly in the Arabia quadrangle. 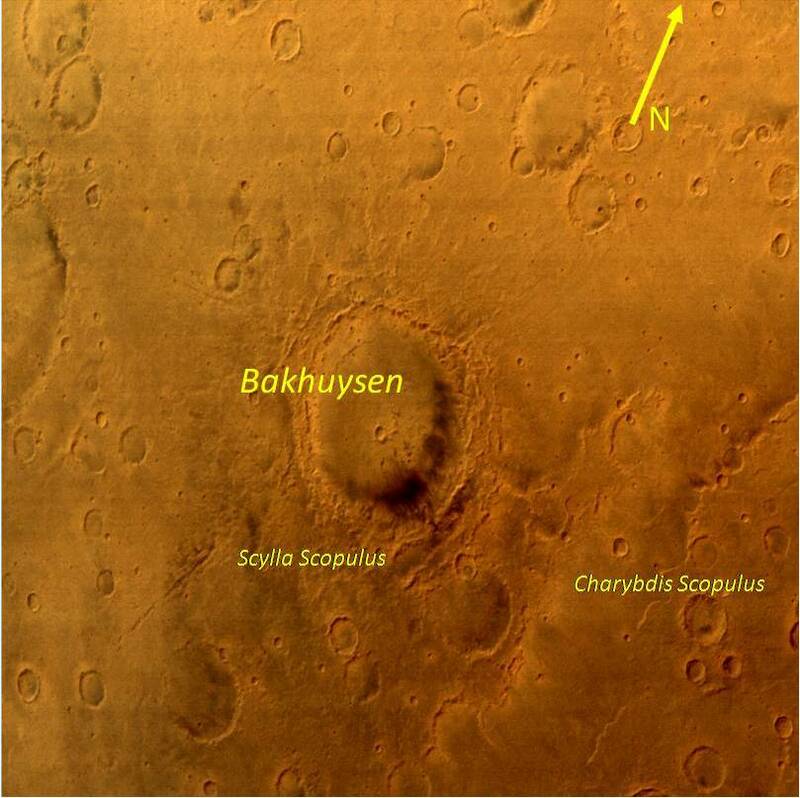 It is densely cratered and heavily eroded. 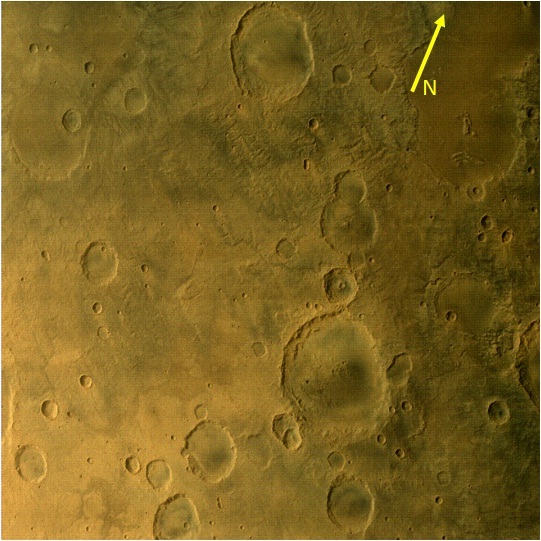 This battered topography indicates great age, and Arabia Terra is presumed to be one of the oldest terrains on the planet. 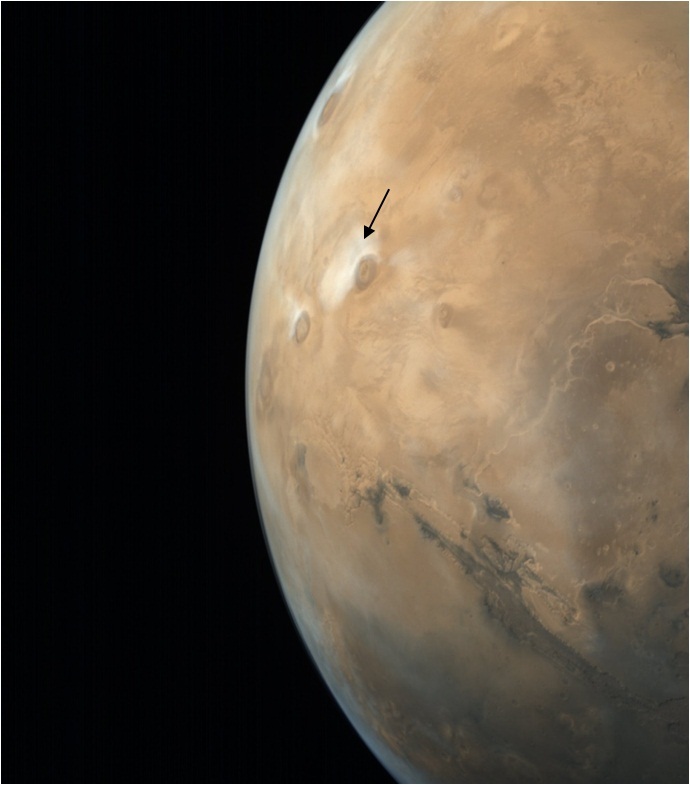 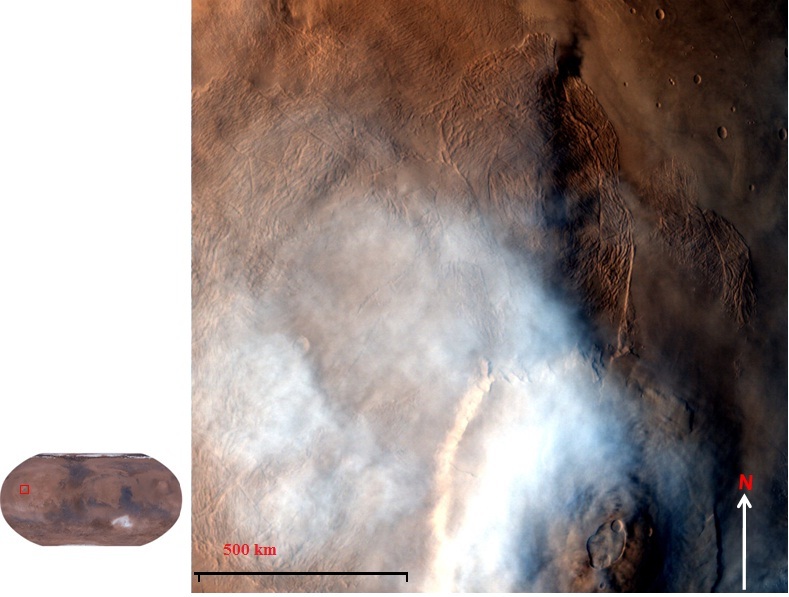 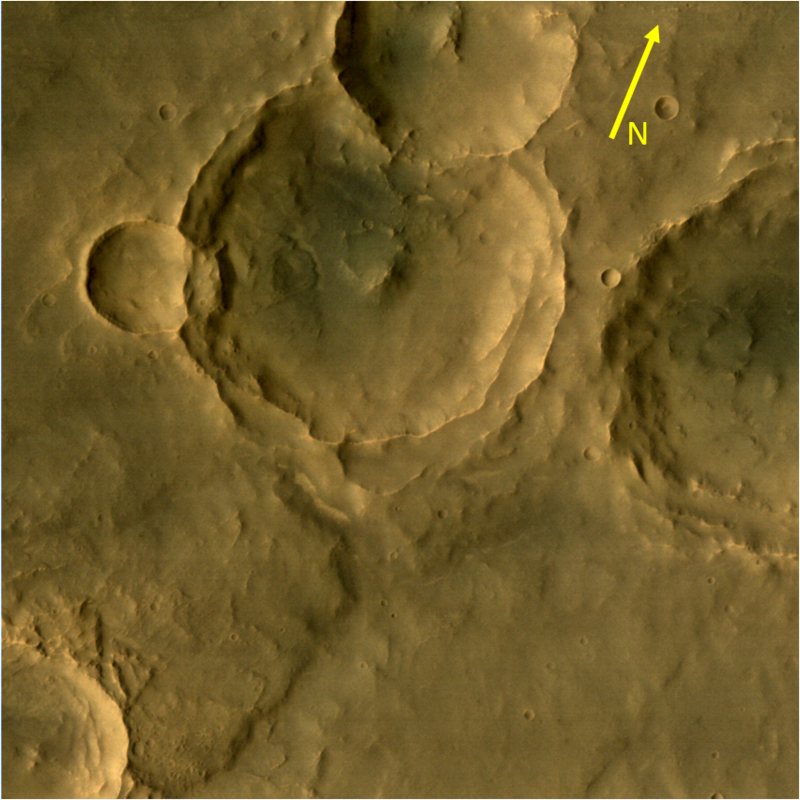 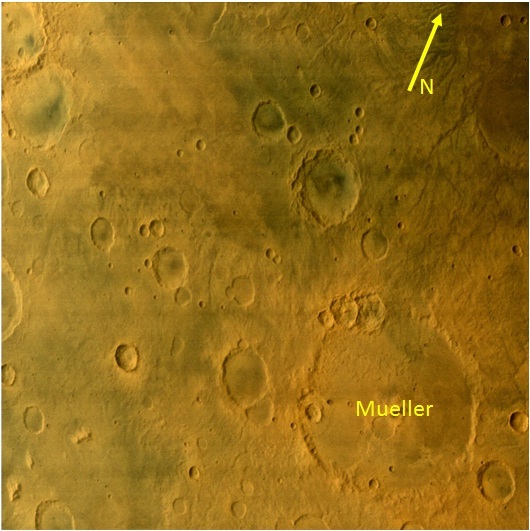 Gill Crater is an impact crater in the Arabia quadrangle of Mars. 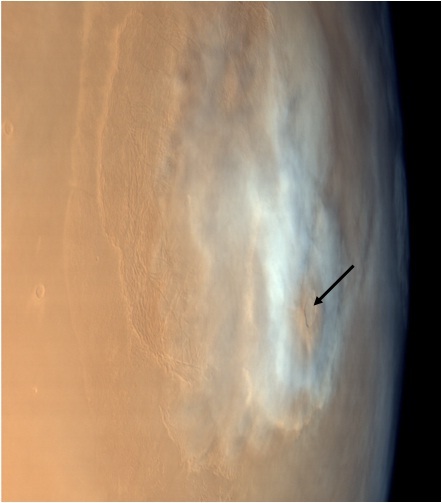 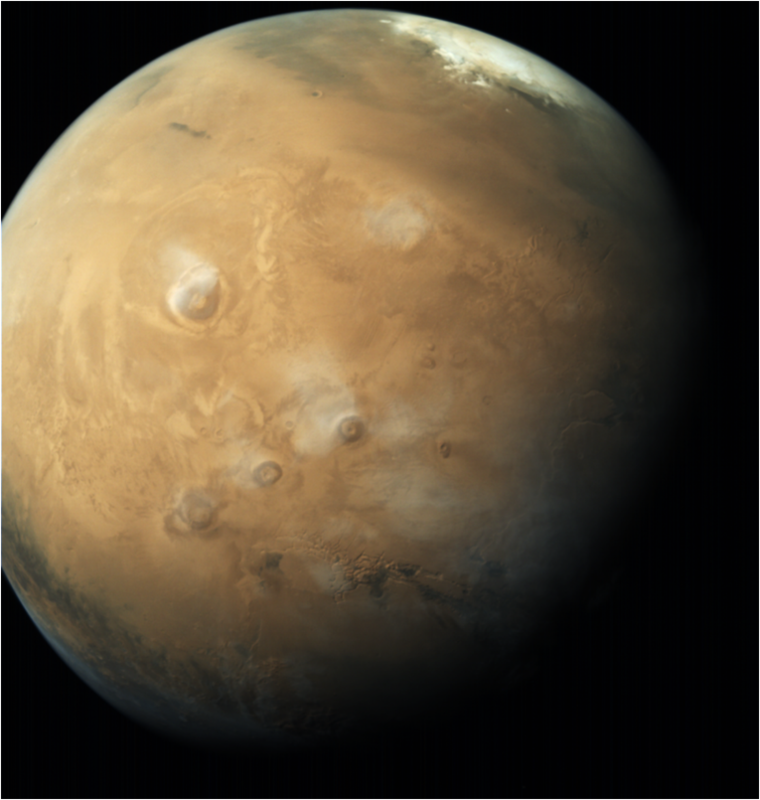 This image is taken by Mars Color Camera on 22nd October 2015 at an altitude of 14893 km with a resolution of 774 m.